The Little Yarra River is one of the main tributaries of the Yarra River that flows through Melbourne. Its headwaters are located in the hills about 20km east of the gardens. The river and its riparian environment are home to many of Victoria’s iconic native plants and animals, some of which are rare or endangered. The river itself has a population of cute platypus, sometimes seen in the early morning or at dusk. Fish species include River Blackfish, Trout, Grayling, Smelt, Perch and Eels. The river is also home to the Spiny Freshwater Crayfish and a number of yabby species. The surrounding vegetation provides habitat for may native birds including honey eaters, parrots, kookaburras, owls and cockatoos. If your very luck you may even see a koala, wallaby or anticlines (native marsupial), which make their home on the banks of the river. A special feature of the area is the huge Manna Gums that tower 50m high, providing shade and habitat. 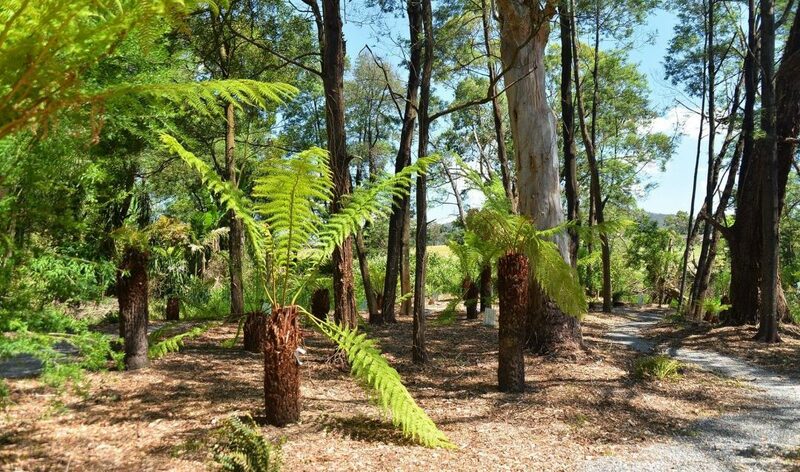 Other feature plants include our special grove of rare indigenous tree ferns. The tree ferns, and many other indigenous ferns were planted as part of ongoing restoration works within 10m-15m of the river. 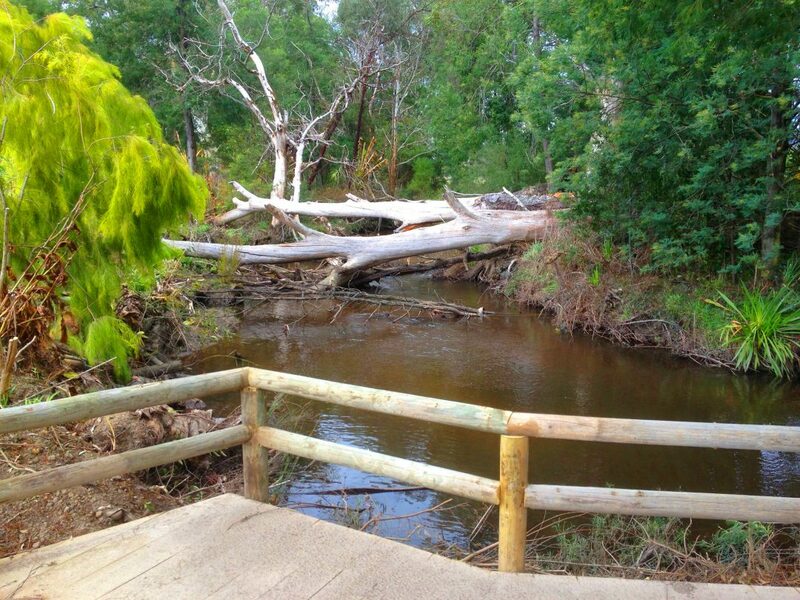 Our conservation efforts also include ongoing removal of exotic plants, weed removal, bank stabilisation and the recent plantings of thousands of locally native trees, shrubs, grasses and plants. These works will be ongoing and will improve the overall environment, encouraging native animals and birds into the reserve. The shady & cool walk along the river is a great place to experience the wonderful Australian environment, which is a completely different experience to the exotic gardens that neighbour it.